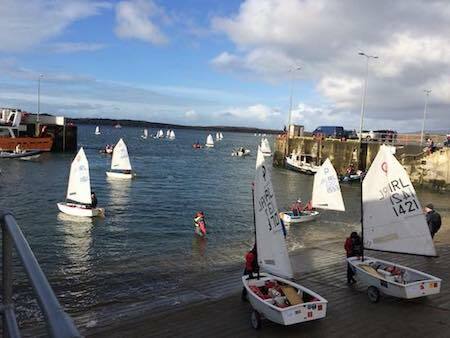 All roads led to West Cork for the Optimist and 420 sailors starting their mid term breaks on Friday 9th February. 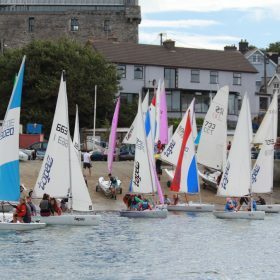 The 420 sailors were in Schull and the optimist sailors headed to Baltimore for the week. The week threw all weather conditions at the sailors from snow showers, hail showers, sun and winds ranging from light breeze to 30+ knots. Despite this the organisers, parents, volunteers, coaches and sailors gave it their all. The week concluded last Friday 16th Feb with the annual regatta for all sailors. 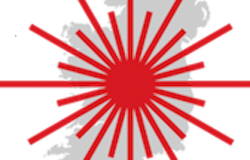 The week is run by a wonderful team managed and co-ordinated by Mandy Kelly and was assisted this year by Kristina O’Regan. The parents volunteer and do duties which include tally board, slipway, catering and safety cover. Coaches travel from around Europe to train the young sailors. This year there were coaches from Greece, Poland and of course Ireland. 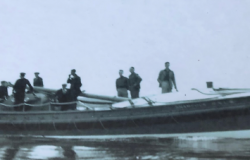 During the week there were also many events held – Movie Night and Disco Night in Casey’s Hotel, Ladies Luncheon in the Glebe, to name a few. “Schull and Fitbones” were also on hand to entertain the younger siblings of the sailors during the week. 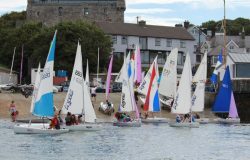 Lots of photos from the week on International Optimist Dinghy Association of Ireland Facebook page here. Thank you to everyone in Baltimore who gave all the visitors a very warm West Cork welcome. 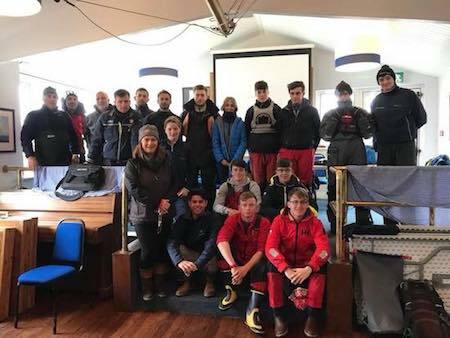 Thank you also to all the Club members that assisted in preparing the Club for the arrival of all the sailors and families and those that were able to help deal with the practicalities and issues that arose during the week. Safe travels home to all. Photos used from IODAI Facebook page.